untitled (eight owls), melton wool cloth, felt, color embroidery thread, 16 x 60 in. 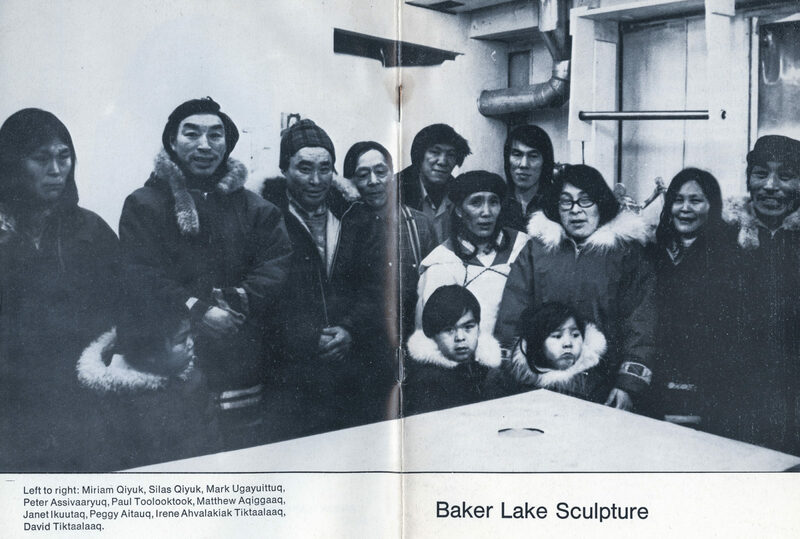 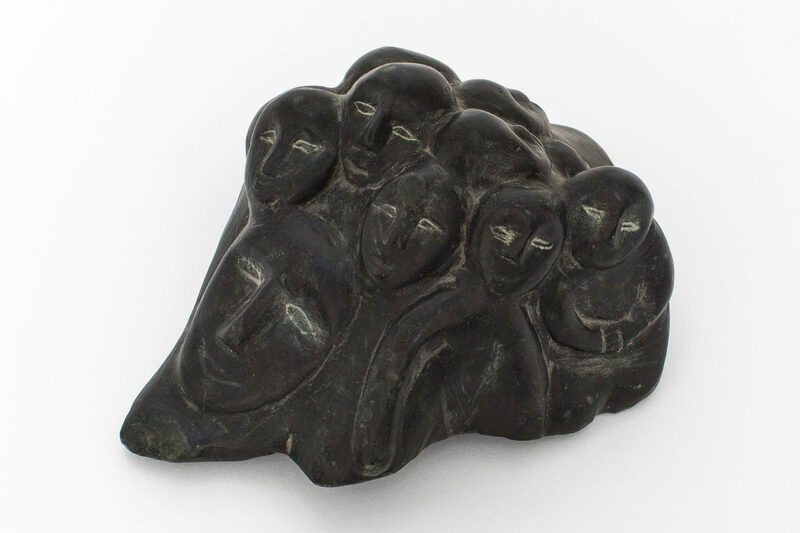 untitled (many people), 1990, stone, 5 x 2.25 x 4.25 in. 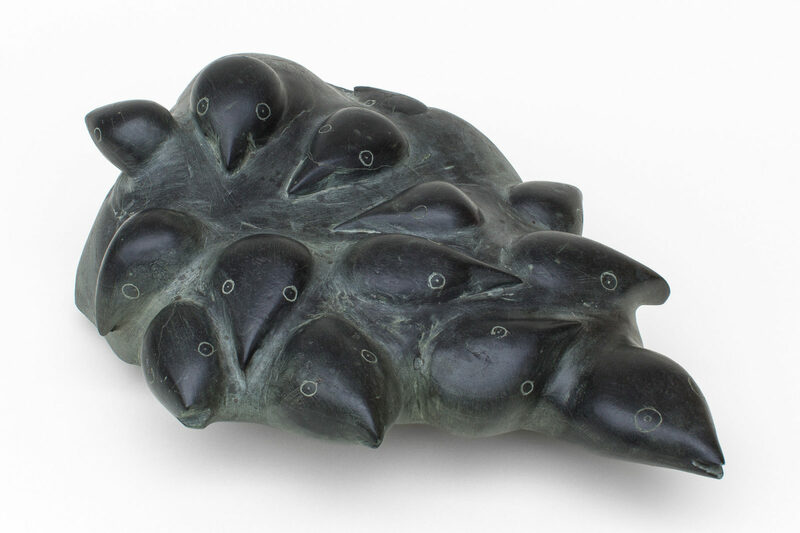 untitled (birds), 1970, stone, 5.5 x 14.5 x 10 in. 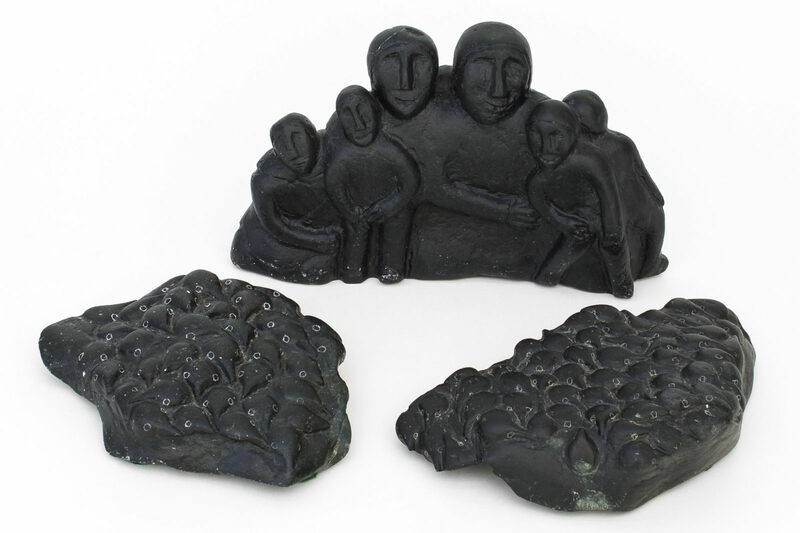 untitled (people with bird clusters), stone, black color, 17 x 9 x 6 in.